This club focuses solely on livestock, primarily beef and dairy cattle with an interest in goats as well. 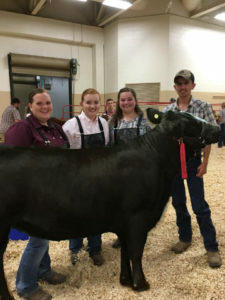 They show their animals and compete in the dairy bowl and other livestock competitions. Meetings are monthly near Siler City and members range in age from elementary to high school age. Our horse club, heavily involved in horse showing and competition, including horse judging, quiz bowl, and hippology. They frequently have speakers from the horse industry for educational activities. Members are middle school and high school age, and meetings are held at the club leader’s house near the Chatham/Durham county line. Our homeschool club has a variety of projects that include STEM, animal science, behavioral science, and archery. They meet weekly in the Silk Hope area of the county. school age kids and their families. We enjoy exploring nature, animals, crafting, science, and helping the community. They meet in the Siler City area the 3rd Friday of the month. A community club with interests in micro-farming, shooting sports, and community service, this club likes to get their hands dirty when they can. A true community club, the Helping Hands Club focus on a number of educational topics including gardening and community service. They meet once a month in/around Pittsboro. This is our newly-formed community sewing club which provides educational opportunities for youth club members who range in age from 5-8 years old. They meet once a month at the Chatham County Agriculture & Conference Center in Pittsboro. Lucky Clovers Shooters 4-H Club Leader: Kevin Carlson, Hewitt Neagle Our first shooting sports club, this club focuses on archery and riflery disciplines and meets at a range near Siler City. If you are interested in joining one of these wonderful 4-H groups, please email the club leader or call us at the number below for current meeting times and locations. Or, if you are interested in organizing a new club with different interests, please contact us and we will walk you through the process of starting a new club! A new group requires an adult leader and five members to be established. 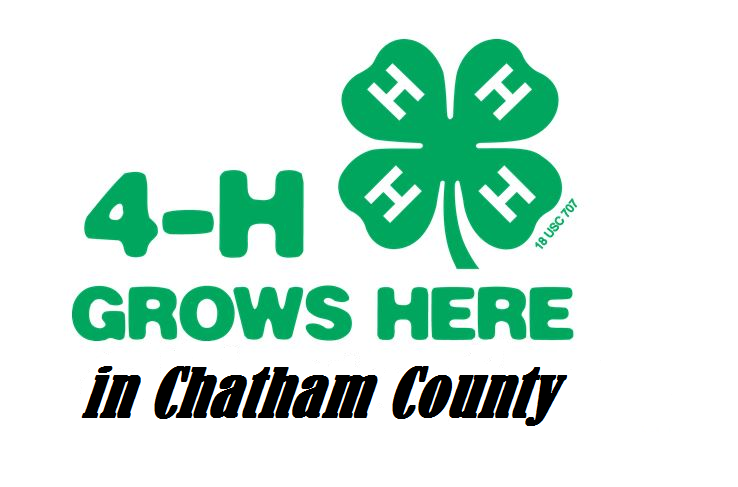 • Join Us for Our Chatham County Spring Ag Fest March 24! • Join Us for Our Chatham County Spring Ag Fest March 30! • Save the Date for Our 2019 Spring Ag Fest! 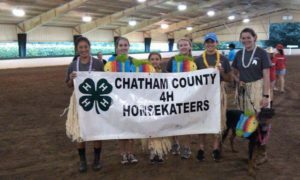 • Save the Date for Chatham County Spring Ag Fest!